← What Happens When We Combine Two Color Trends? 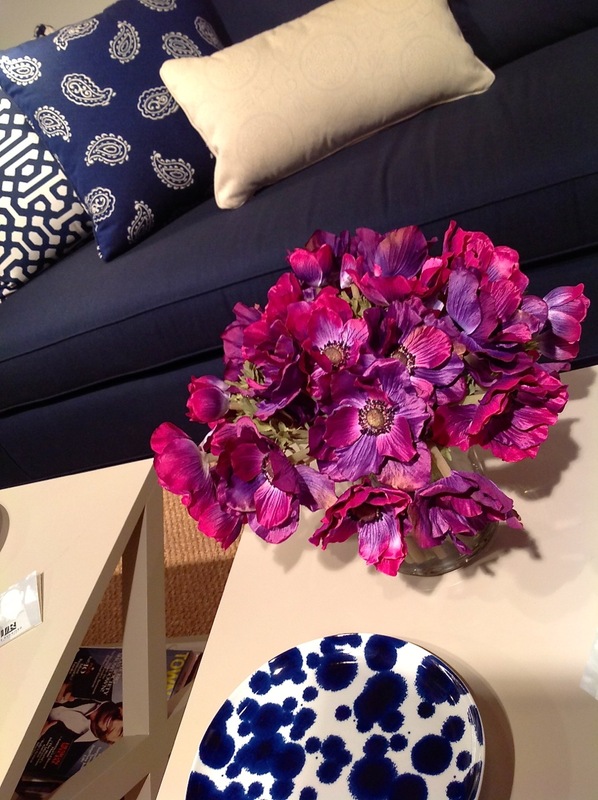 I look forward to this time of year when I can go to High Point Market to see what the trending colors are. I keep my showrooms consistent each year so I can track how their color trends change then I cover as much ground as I can to see if there is a common hue in the other showrooms. This is what I found. 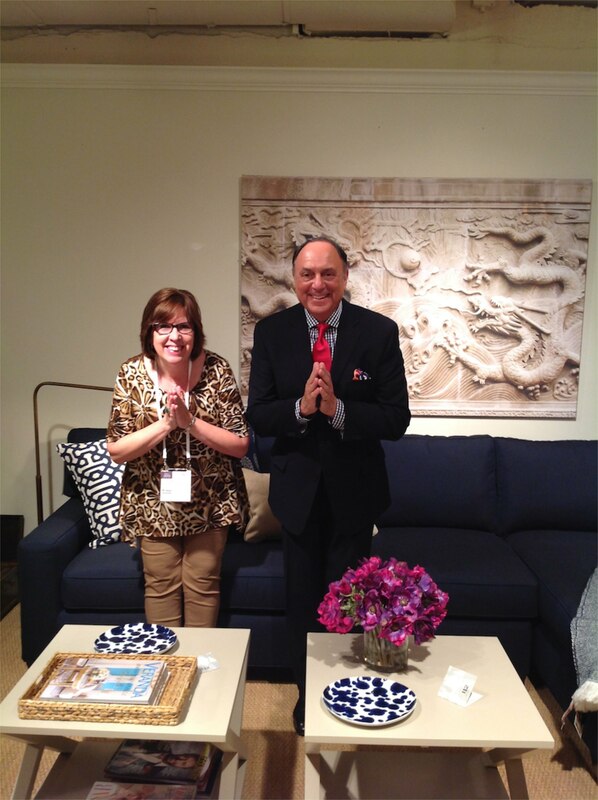 The Joe Ruggiero Collection had main color theme of Indigo. This is a great choice since most people love blue. Going darker as in Indigo, keeps it classic and very accommodating to most neutrals. I absolutely LOVE blue and purple together. You don’t see it often but I sure wish we did! Striking a pose with Joe. Gotta love it! And in comes the pink!!! This lamp is by Stray Dog Design. 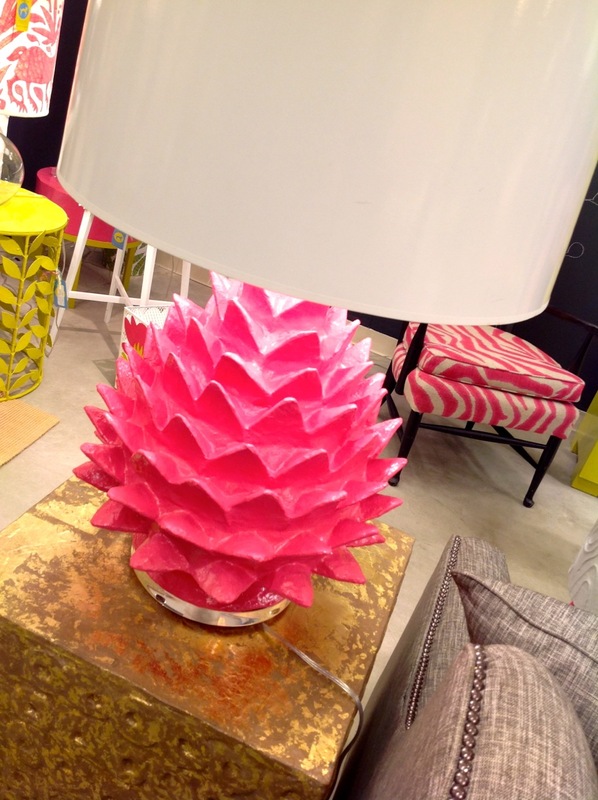 Would’nt this be super cute in a girl’s room? 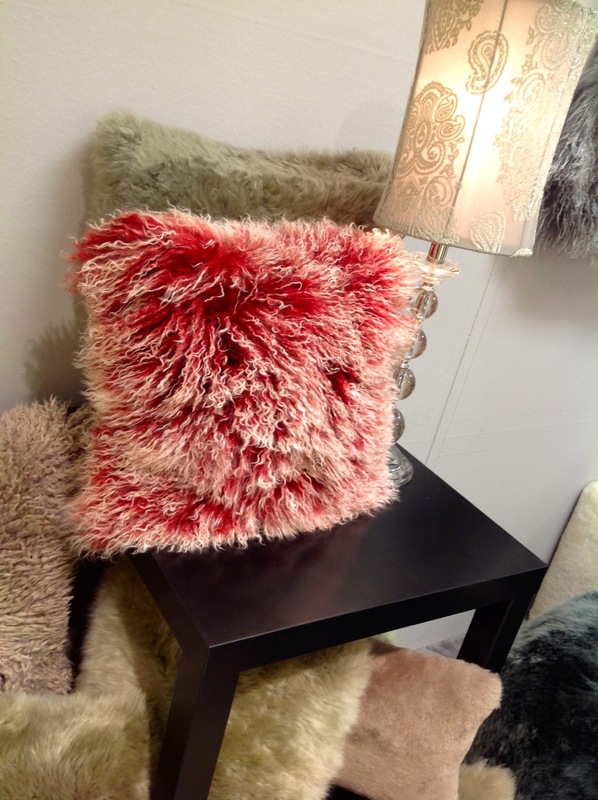 This pink which is VERY close to what I have in my office was found in the Kim Salmela Atelier’s showroom. Great, great pink. 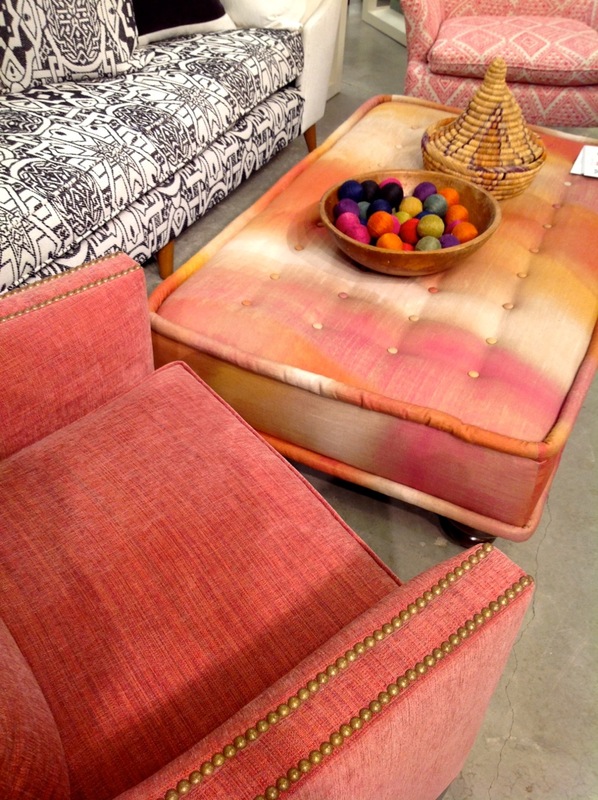 I have so much more to show you so keep an eye out for part two of my color finds in High Point. 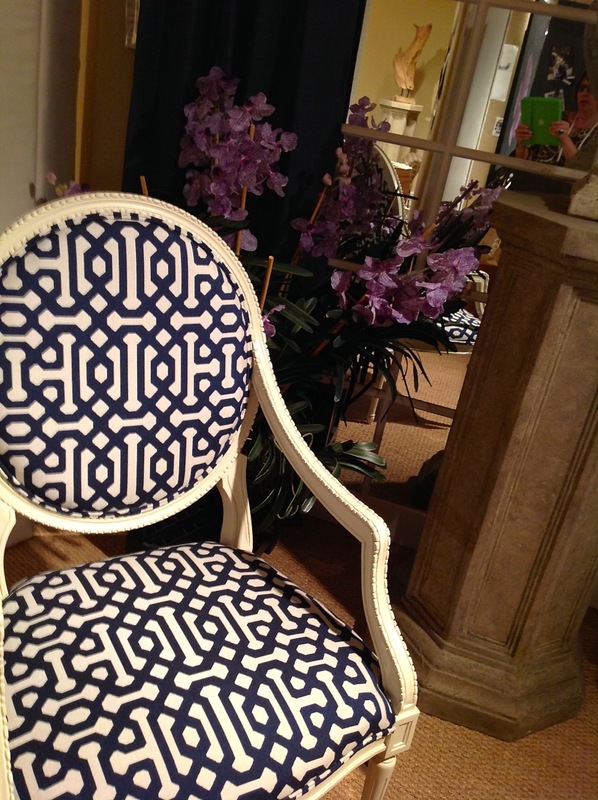 This entry was posted in Forecasting, HIgh Point Market and tagged color trends, high point market, Joe Ruggiero Collection, Kim Salmela Atelier. Bookmark the permalink. Great post! I absolutely love Stray Dog’s look, everything was so bright and punchy, just my style 😉 I look forward to your next post. I’m so bummed I missed the new Joe Ruggiero fabrics. I am really excited about the indigo/denim collection! Your pics are lovely; next best thing to being there. There’s just always so much to see at Market it’s hard to capture it all but this room, really spoke to me. Love the pink! Thanks Kelly! Joe is such a awesome guy! Not only does he have a great design sense but a great sense of humor as well. The indigo is right on!